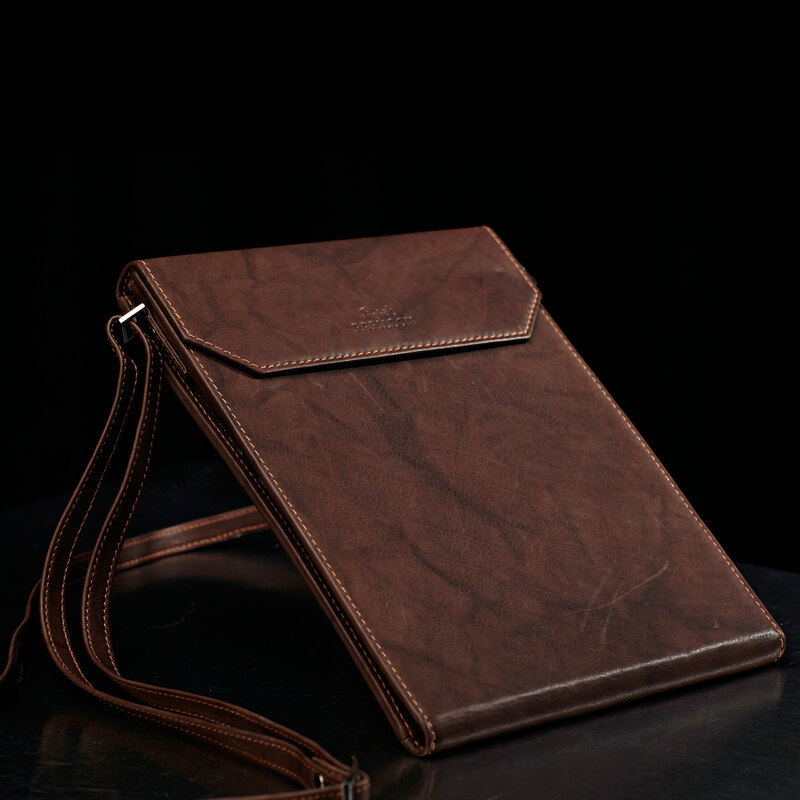 The Ipad case with shoulder strap was initially designed as a wish from a business man and combined with the idea that it cannot be grabbed off your hand as it is secured to your body with the strap. 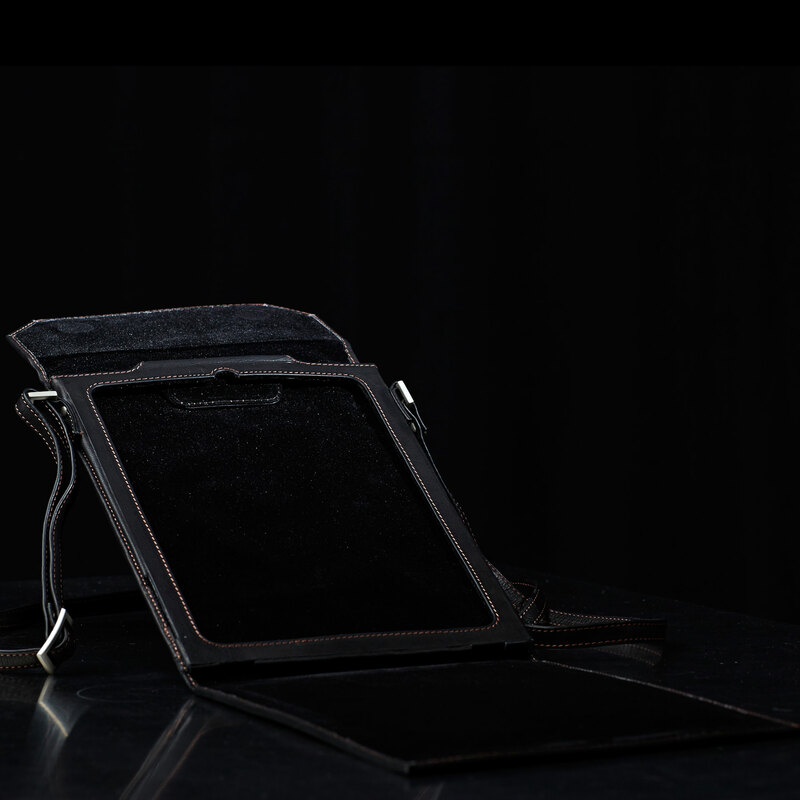 So you see that as a client it is also possible to influence our collections! 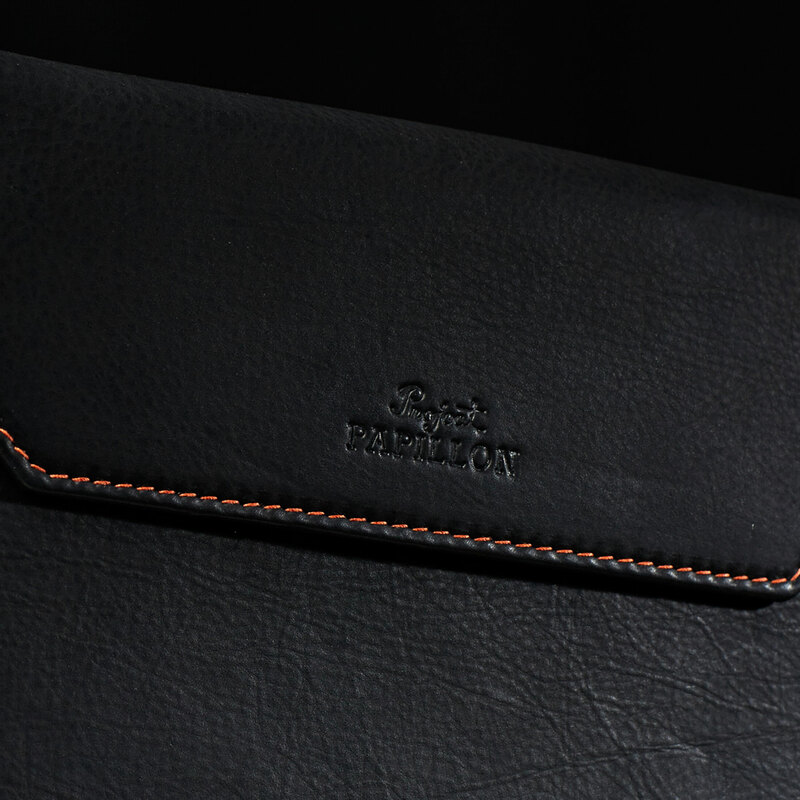 Whether for business or pleasure the Ipad case matches your other Project Papillon leather goods with style. 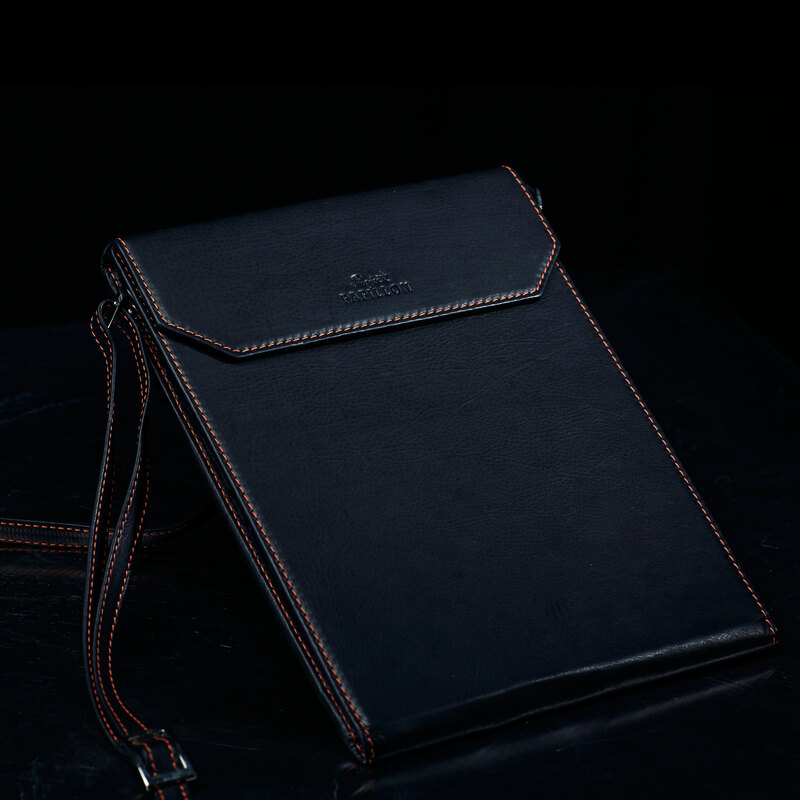 It has a small compartment for papers or to keep a map while doing sightseeing and so keeps your hands free as you can just let the Ipad securely hang along with you.